Through exploring male and female-oriented product design, the modern trend of wearable devices and male characteristics such as showmanship and sportsmanship, Morinosuke Kawaguchi continues to explore what lessons we can learn and apply to Japanese manufacturing. With NTT Docomo phones, we previously saw technologies that could accentuate a user’s style and how the wearable computing revolution could benefit pioneering manufacturers willing to innovate. It’s worth acknowledging the design evolution that traditional wearables took, such as glasses and wristwatches, to appreciate the trend in wearables. From 13th century eyeglasses to 16th century pocket watches, both developments evolved significantly over time and we have seen the same accelerated change with the modern smartphones. The smartphone has arguably replaced the wristwatch for many. The proliferation of apps has fueled a similar trend for multiple functions: alarm, clock, wallet, personal ID, keys, mirror, memo, TV, camera, music: it’s not difficult to say “there’s an app for that”. Mobile phones have heralded a new generation of wearable technology, weaving together multiple mechanical and electronic innovations. Visual style inevitably overtakes functional innovation the more these devices evolve. Docomo’s D702iF, combining functional convenience with beautiful design, made particular efforts to inform and influence the elegant movements of its female target users. According to Osanuma-san, the design-focused D702iF managed to sell well. Despite the seemingly inevitable trade off of design versus function, continual modularisation of the internal components enabled the team to better reconcile the two. It goes without saying designer phones are not designed to be mass-market or cheap devices, but the D702iF impressed in the marketplace. There are many examples of product design attempting to influence consumer behaviour. 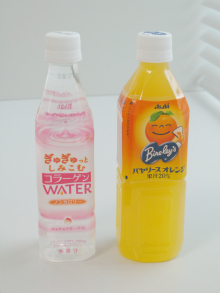 Asahi Soft Drinks’ “Gyugyutto Shimikomu Collagen Water” spearheaded a trend for more elegant, thin PET bottle designs. Whilst Asahi tried to sell the health and beauty benefits to drink-conscious female consumers, the elegant design also reinforces its feminine appeal. Easier to hold in smaller hands, more discreet in shape and colour, and easier to slip into a handbag. Like the difference between picking up a sophisticated wine glass and grabbing a beer glass, the designers almost subconsciously knew how to fuse feminine elegance into their product design. Such long and narrow designs, through highlighting and accentuating female form, are synonymous with femininity across a range of modern day products. So what about male-inspired product design? 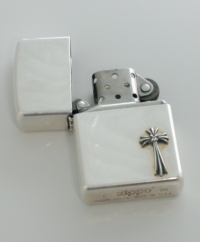 The Zippo lighter is still considered an influential and iconic which definitely influences a guy’s behaviour. Younger men cannot deny the ethos of cool associated with the ritual of effortlessly flicking and lighting up a Zippo. Why do we do this? The reality is men treat life as a series of small challenges, looking for opportunities to showcase our abilities to those we want to impress. When parking a car, the driver will reverse with one arm behind the passenger seat and the other fine adjusting the steering wheel. This is a chance to showcase to a female passenger spatial awareness and athletic ability! There are countless opportunities to bolster one’s reputation and signal one’s prowess. Those with genuine talent (in sports and arts) are fine, but normal people will likely have nothing but these smaller opportunities. Even if you try and then mess up, you’ll be mortally wounded at the loss of face – it’s just how we are. You will be familiar with the All Blacks’ Haka dance that precedes each rugby game, Bruce Lee’s nunchaku routine or Western gun-spinning. Such macho showmanship or signalling goes hand in hand with two-sided contests. But reality of our modern, comfortable lifestyles is better defined by “small battles”. In our increasingly automated lives, chances to differentiate ourselves are decreasing. In this wearable computing age, how can a man showcase his abilities? Several years ago a new trend amongst younger men came into being – flicking back their phone handsets against the side of the leg, simultaneously opening the handset. A resemblance not just to the gunman drawing his holstered weapon, but also the Zippo “flick”. If you look at Nintendo’s Wii console, you can imagine the bravado with which the Wii Remote (and the Nunchuk) controllers are used competitively. To ensure reliable control during gameplay and protection against being dropped, Nintendo made significant innovations with shock and impact resistance to ensure long-term durability. This shows the true worth of our engineers and when it comes to these kind of developments, nobody does it better than Japan. Another factor is Japanese people’s love of ceremony and formalities. From tea ceremony and flower arrangement to judo, form and aesthetics are paramount to us. From our morning Radio Taisou exercises to our evening gathering toasts (“kanpai!”) and hand-clapping (“tejime”), we are fond of these customs. Their sense of familiarity reinforces a sense of relief and peace of mind, not to mention social harmony. It seems sensible to consider how ceremony could be applied to the mobile phone – perhaps this is why the flip phone continues to remain quite popular here in Japan? It feels as though whilst durability and material innovations are inevitable in industry, the difficulty is more pronounced in producing for the traditional male Japanese target market. We previously summarised the efforts of Japanese product design in influencing movement and behaviour with “hidden audacity”. 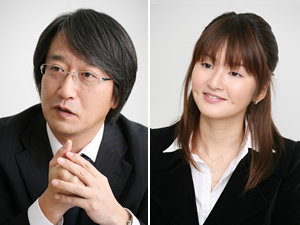 Typically, Japanese people’s attitude compared to Westerners tends to be more inward-looking. From the Meiji era onwards, the Western style of marching was introduced to our armies, before which the “namba aruki” style was widespread and almost universal by some accounts (here the right arm and right leg move forward at the same time). Such self-conscious pomp and majesty is markedly different to the idea of a traditional inward-looking mindset. Japanese clothing also echoed this evolution in attitude. The long-standing tradition of wearing kimono and its associated style of movement has survived well to this day. After putting on “zōri” (sandles), the default walking style is shuffling, short steps. Within this history of Japanese femininity and elegance, it’s not easy to discover such charateristics in Japanese men. When it comes to contests, technique and sportsmanship eclipse anything else, where competition through beauty and style is more important than victory itself. Even before judo’s Olympic debut, the Ippon has always been considered the archetype for victory as it is by modern Japanese athletes. In kendo, etiquette and courtesy is written into the rules. If you pose after winning a point, the point can be revoked for inappropriate behaviour. In this way, showing respect and competing with honour are expected. Such dignity and suppressing audacity is a traditional characteristic in the Japanese male. Even in times of victory, it is important to recognise our ability to respect our opponents. Even if this mindset is not so common these days, this calm and collectedness has a relevant application to how we use modern wearable devices. With regards to the characteristics and customs that survive from the old, traditional Japanese arts and crafts, there are still ways to uncover the Japanese male’s characteristic behaviour. NTT Docomo’s D702iF designer, Ikuta-san said, “The more one understands Japan’s traditional arts and crafts the more one realises how to attain that higher level. Taking the modern “kawaii” and “moe” trends from Shibuya or Akihabara, the strengths of our traditional industries can complement and empower these design concepts as they circulate throughout the world and gain greater social acceptance”. Like the phone that could uncover and accentuate femininity and elegance, wearable devices can similarly uncover male style and characteristics. When it comes to manufacturing, understanding our traditions and our past will surely teach us some lessons.